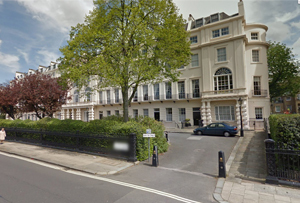 When the Candy brothers put the price of a flat at their ‘billionaires’ playground’ in Knightsbridge at £65m, many thought it would never sell. Now developer Marcus Cooper is pushing the boundaries of London’s property market again by knocking seven houses together to create a £200m ‘supermansion’. Property Week reports that Cooper has acquired a 150-year lease on five properties at 6-10 Cambridge Terrace and 1-2 Chester Gate, near to Regent’s Park, which he plans to knock together to create a seven story mansion containing 15 bedrooms, 35 bathrooms (that’s an en suite for every guest – with a couple of spare ones thrown in for good measure). It will also have a roof garden and an underground leisure complex containing a swimming pool, a bar, a cinema and a Jacuzzi, as well as a banqueting hall and a billiard room. Oh, and a car lift to a ‘sub-basement car park’, natch. Even for London’s notoriously buoyant property market, it’s an ambitious project. Although Russian oligarchs and Middle Eastern royalty is still merrily snapping up vast swathes of central London, there are indications that the market might be about to top out. With the introduction of tax regulations on foreign-owned property, bankers’ bonuses drying up and Sterling gently sliding into an abyss, London is just about clinging to the ‘safe haven’ status it’s enjoyed since the beginning of the downturn – but Cooper would be wise to get those renovations done sharpish to ensure the place sells for the full £200m.